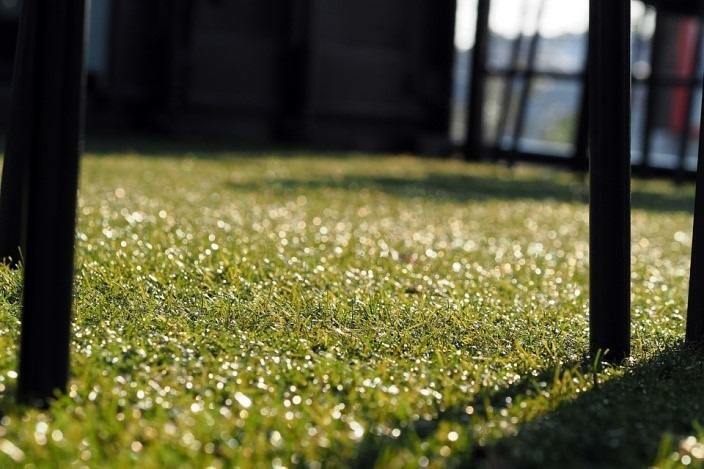 Artificial lawns are extremely cost effective compared to their natural counterparts. Installing one in your home compound automatically eliminates most overhead costs brought about by maintaining a natural lawn. These include watering the lawn, reseeding it and mowing it regularly. However, proper care is paramount to ensure that your artificial turf is healthy and looks amazing. You can now get Crown Synthetic Turf installed at your home. This synthetic lawn is extremely durable and quite easy to maintain. You’ll definitely enjoy hanging around your lawn and hosting barbecues more often. Some chemicals are too corrosive to use on your artificial lawn. Persistent use of harsh cleaners and corrosives causes irreversible damage and jeopardizes the health of synthetic grass. If left alone, organic materials can also decompose and create harmful chemicals that can stain your lawn. Such materials include animal feces, dead insects, leaves and animal feeds. Therefore, it’s wise to remove such organic materials from the lawn every so often. Synthetic grass is quite susceptible to stains. You’d need to clean it as soon as it’s stained to prevent any permanent pigmentation. Luckily, most artificial lawns are made using synthetic fibers that don’t stain easily. Simply hose your lawn down to remove any traces of staining chemicals. However, if the stain is more severe – maybe from a beverage such as alcohol, tea or coffee – it’s wise to call a dedicated lawn company to handle this for you. They’ll successfully remove the stain and leave your lawn looking supple. Caring for your lawn requires some level of dedication and attention to detail. Part of this entails working with the right lawn-caring equipment. This not only makes the entire process easier but also helps to maintain a healthy-looking lawn. After all, you don’t want your family and friends relaxing in a dull, stained and unkempt lawn. Top on the list of must-have equipment should be a rake, hose and leaf blower. It’s a great idea to rake your lawn every so often. This allows you to search and pull out any weeds growing remotely on your artificial lawn. Raking it also sorts out the blades, allowing your lawn to wear uniformly and enhancing its appearance immensely. If you notice some weeds emerging from the base of your synthetic grass, use a mild weedicide to eliminate these plant intruders. Ensure you mix the weed killer correctly to avoid harming your lawn fibers. In rare cases, your artificial turf could develop a stench that is hard to ignore. Pet excretion, for instance, could cause your lawn to stink. To eliminate such odors, mix water with appropriate amounts of deodorizers (vinegar, for instance) and hose down the entire place that stinks. Alternatively, you could use an enzyme cleaner to wash the area. If pet poop or rotting objects are causing the stench, you’d first have to dispose of them before sprucing up the place.